KOG Games, a leading developer and publisher of popular free-to-play action MMORPGs, today announces the launch of the impressive Raid Boss Dungeon. Knee-deep in crazed creepy crony carcasses, Elsword’s aspiring mob of would-be heroes has all but slain the last mass of minions that would have stopped at nothing to halt their progress. As the final sword falls, and last shot rings out, quelling the final miscreant… the menacing visage of the Gate of Time rends reality asunder and throws its doors wide open. Finally, through the archway the heroes march and all cast their weary gazes upon the magnificent City in the Sky. Perched aloft the clouds up high, spires of technology and magic keep his ancient capital afloat. The sheer mastery of techno-magic and masonry can only be taken in for a fleeting moment before the air crackles with power unlike anything this world has ever seen. The entire earth beneath them begins to shake, and an ear-piercing howl ravages their very souls. From the heavenly expanse surrounding the floating city, soars up to the sky, a behemoth so great that its form eclipses the sun itself. At the pinnacle of its ascent… this techno-leviathan, the mechanical dragon guardian of the City in the Sky, descends upon them with break-neck speed and the explosive fury of sun itself. See the new video here. 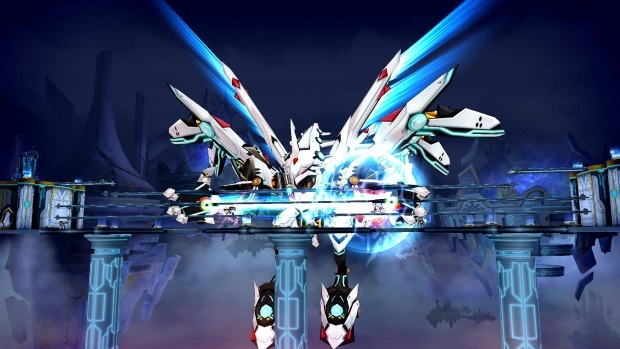 Enter Eltrion: The first Raid Boss of Elsword. The new Elsword Raid Boss encounter is the biggest and toughest fight in the game. Players unlock the Gate of Time by defeating a ton of baddies in the Sander and Hamel Fields. Once defeated, the Gate of Time materializes, and all 12 players join in to fight Eltrion together; the toughest boss in the game. If there aren’t enough players in a group, the Gate stays open for 15 minutes. Sounds easy right? On the contrary! Players have to bring their “A” game. Though you may take Eltrion on with an epic party of 12 players, you only have 12 minutes to destroy the beast or lose the fight. Battle the big boss, with a big raid for big prizes. 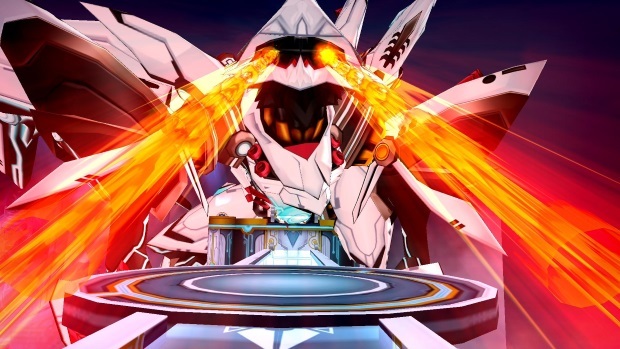 With Elsword’s new Raid Boss beatdown… Size is everything.